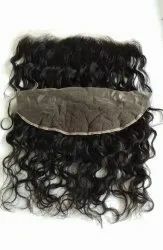 We make frontals with best mesh fabric (Net) in natural colours. Expert worker knits each hair strand carefully on the mesh to make a high quality frontals 12"X4.5". 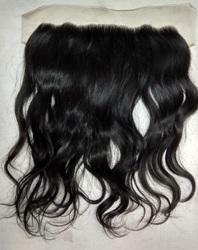 We are engaged in manufacturing and exporting of Wavy Hair Wig. Color: We are able to supply every colors. Color: Natural Color are available. Ladies girl straight styler hair wig golden acessories is easy to wear and lite in weight. Its available in golden color. It is free in size. We are a trusted name engaged in offering Natural Human Clip In Hair. In compliance with the requirements of our clients, we offer this hair in varied sizes and lengths. Moreover, we make sure that the hair in provided in attractive and hygienic packaging to keep the product away from dust and moisture.